Our golf course offers some of the most scenic views in the region. Check out some photos of our golf course and the surrounding area! 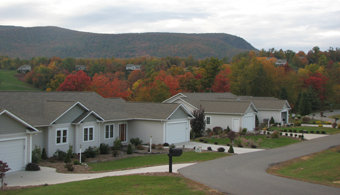 Mountain Aire features a variety of homes, townhomes and homesites. 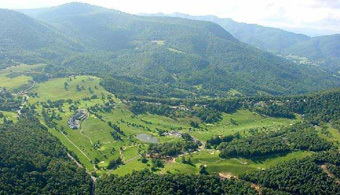 Located in West Jefferson and nestled in the heart of the Blue Ridge, Mountain Aire is an established, public golf course offering 18 holes of well-maintained fairways, complimented by the natural, rugged beauty of the Appalachians. We are located just 30 minutes from Boone, NC. 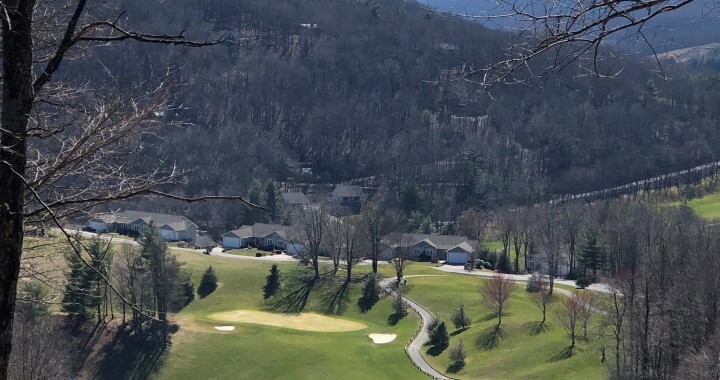 In addition to offering a challenging round of mountain golf, Mountain Aire also "plays" the backdrop for a beautiful golf community called Fairway Ridge. Whether you are interested in a fun round of golf or looking for spectacular views of the golf course and surrounding mountains, Mountain Aire Golf Club is sure to exceed your expectations. 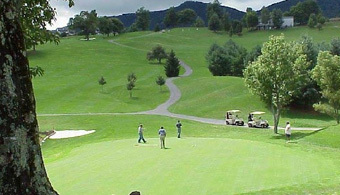 If living in beautiful Ashe County, NC is your dream, there are golf course homes, scenic home sites, and town homes developed around the golf course. We invite you to browse our website for more information or follow us on facebook. Due to the rains from Hurricane Florence, the 2018 Shrine Tournament has been rescheduled to Sunday, October 14. You may sign up anytime by calling the golf course at 336-877-4716. Please plan to come out and support this organization. Tomorrow is forecast to be Cooler than today. Cloudy with a wintry mix tomorrow night. Considerable cloudiness. Lows overnight in the mid 20s. Mostly cloudy skies. High 42F. Winds light and variable. Freezing rain in the morning changing to rain in the afternoon. Precipitation will be light. High 39F. Winds SSE at 5 to 10 mph. Chance of precip 70%. Steady light rain in the morning. Showers continuing in the afternoon. High around 55F. Winds WNW at 5 to 10 mph. Chance of rain 70%. Periods of rain. High 46F. Winds light and variable. Chance of rain 100%. Rainfall near a quarter of an inch.